Wi-Fi gear vendor Extreme Networks beefed up its lineup today with the acquisition of the wireless LAN business of Zebra Technologies, a $55 million deal that is scheduled to close later this year. 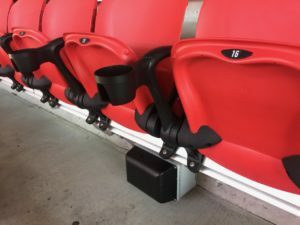 While it’s not apparent how the Zebra acquisition will affect Extreme’s stadium and large public venue businesses, it seems like some of the Zebra products including their security and managed services offerings could be a fit for teams in the market for Wi-Fi. Network World has a good breakdown of the deal, including a quote from Gartner which says Zebra gear should be on the short list for customers in the retail and hospitality businesses (among others) as well as verticals with location requirements, which would seem to include stadiums. Any Zebra users in stadium deployments out there, give us a holler and let us know what you think. At the very least, the deal is just another sign of consolidation in the Wi-Fi industry, a trend that has seen Brocade buying Ruckus and HP buying Aruba in the bigger deals to date. 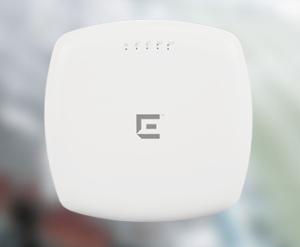 Following last year’s $3 billion purchase of Aruba Networks by Hewlett Packard, the Wi-Fi gear industry consolidation continued today with the announcement of Brocade buying Ruckus Wireless for $1.2 billion. For the stadium-networking industry, the news may mean that Ruckus gear may find its way into more potential deals, thanks to the deeper pockets and integration possibilities brought to the table by Brocade, which competes in the back-end network gear market against companies like Cisco. Though it’s not known to have scored many stadium deals, Brocade is the back-end network supplier for Levi’s Stadium, which is a close-by neighbor to Brocade’s San Jose headquarters. 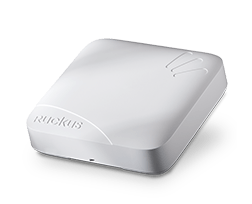 It is also part of the network gear being used at the new Golden 1 Center in Sacramento, where Ruckus will provide the Wi-Fi gear, perhaps a deal where the purchase relationship got started. Ruckus, which had come close but lost two high-profile Wi-Fi deals (for the San Jose Earthquakes’ new stadium, and for the Wi-Fi network at NRG Stadium in Houston), had said publicly that it did not participate in “pay for play” deals, where a gear manufacturer might provide discounts or payments for stadiums to use their equipment. Ruckus has won some other high-profile stadium deals recently, including at Angels Stadium in Anaheim. Hewlett-Packard may be looking to double down in the tablet space as rumors are emerging that the company, already having re-entered the space, is now looking to head to the low end by offering an affordable $99 tablet. According to DigiTimes, HP will team with Walmart to sell the 7-inch tablet that HP will have built in China. It will be targeted at the back to school market and will be the second offering in the 7-inch space from the company. NASCAR and broadcaster NBC have signed a multiyear, multi-billion dollar deal that will see the racing league move from its longtime homes of ESPN and Turner Sports, while Fox Sports will maintain its portion of the coverage. The details of the deal have not been released but Sports Business Daily has said that it is estimated that the deal is 50% greater than the existing deal that was valued at $2.74 billion for 8 years. The new deal will start with the 2015 season. Will 2022 World Cup move to November? If you wondered why FIFA awarded the 2020 World Cup to Qatar, a nation that being in the desert tends to be very hot during the summer when the tournament is played you were not alone. Now FIFA appears to be rethinking its clever plan. Increasingly reports are emerging that the governing body is looking to move the tournament to the fall or winter so that it does not have dozens of players falling from heat stroke. However this will have a huge impact on most of the major European leagues’ seasons so it will be interesting to see how this plays out. Stats guru Nate Silver has just moved to ESPN, leaving the New York Times. Silver cut his teeth in sports prior to moving to the Times and developed PECOTA, something that most baseball fantasy players will be aware of. Hopefully in his new role he can help bring realistic use of statistics to the World Wide Leader. Does anybody really follow its quarterback rating system and does anybody remember its ill-fated productive out stat? Here is an interesting look at some areas he has impacted in the past and could in the future. Madison Square Garden to close in 10 years? Madison Square Garden, the New York Knicks’ home, is slated to close in 10 years as New York is looking to renovate Penn Station, the mass transit terminal upon which sits the sports arena. Currently Penn Station is the busiest transportation hub in the United States. The news cannot come as good news to the team which has been in the midst of a 3-year renovation that, according to Yahoo, will cost an estimated $968 million. The team had been applying for a permanent permit for the arena. Hewlett-Packard has expanded its relationship with NASCAR, originally formed last year, which will partner the two in devising ways that HP technology can enhance and advance the sport of auto racing with a focus on both engaging fans more closely and bring advertisers to specific segments of the fan base. 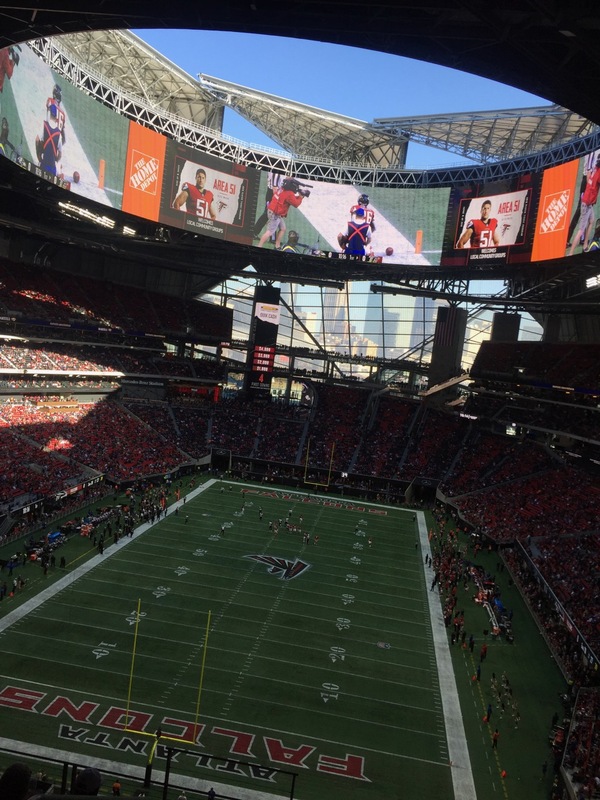 The move is part of a growing movement among sports teams and leagues to partner up with leading technology companies to take advantage of their expertise in a range of areas from fan engagement to operational efficiencies. 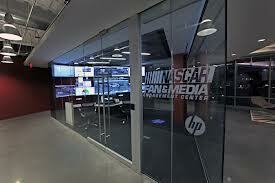 NASCAR has named HP an Official Technology Partner in a 3-year deal that will have the two engage in developing and using technologies that NASCAR says will catapult the sport to a new level via the adoption of cutting edge technologies. Under the terms of the new agreement, NASCAR has named HP as an Official Technology Partner, underscoring a joint commitment to accelerate innovation and the adoption of cutting-edge technology across the sport of NASCAR. While the details of the agreement are vague, expect to see enhanced digital presence at NASCAR tracks with high speed wireless capabilities. NASCAR has a huge following but has seen a steady erosion of attendance at its events. 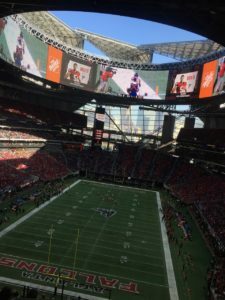 Long traffic lines, limited views and none of the advanced ambiance that fans are now expecting at football and baseball stadiums can take its toll in term of attendance. That will probably change, and for that matter has already started to change with the original agreement between the two last year that lead to the formation of the Fan and Media Engagement Center (FMEC). The FMEC is a tool that measures and analyzes information from a wide variety of media including video, social media, digital, television, print and radio. It takes the information derived from all of these sources and uses it to help further engage fans with NASCAR. NASCAR has said that it is already seeing results from the FMEC with information tailored for specific segments of the NASCAR audience that can be used by NASCAR and its partners. The new deal will in part be an expansion of the FMEC effort as well as looking at new areas that the two can develop solutions. In the past sports entities went about moving into the digital age quietly, adding a bit of Wi-Fi, a Facebook page or a mobile web site. They had partners for these efforts but they remained in the back ground for the most part. Now the partnerships are at the forefront as the advantages that the tech partner brings, as well as the prestige of the name, help increase fan awareness of the moves that the team or league is undergoing. Expect to see more along these lines such as the recent SAP/San Jose Sharks deal. Hewlett-Packard appears to be bucking the trend once again in the tablet space, although this time it looks as if it will have less to lose than its first disastrous foray into the market. 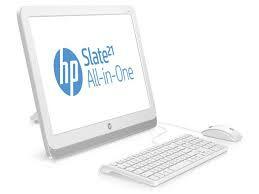 The company has introduced the HP Slate 21 AIO (All-in-One) that features a 21-inch display. While tablets are gaining ground as a notebook replacement, this more than full sized offering could serve as a desktop replacement, although if you plan to hold it in your lap you might want to start super-sizing your meals now. However you don’t need to worry about holding the Slate 21 AIO, it comes with a stand. It is powered by a quad-core Nvidia Tegra 4 processor and unlike many other members of the AIO family it will be running on the Android operating system, version 4.2.2 to be exact. While it may look like a desktop replacement due to its size, the company is touting its ability to be a home entertainment tool that can be shared among members of a household. However it does have a HP desktop productivity software including KingSoft office software. The tablet is expected in September and hopefully the company will unveil additional features previous to the launch of the $399 devices. It did say that it will have 8GB of storage and a MicroSD card slot for additional storage expansion and it will feature three USB ports and a high definition web-cam. Interestingly the price makes it the lowest Slate AIO offering from the company, however its others have Windows as the operating system and the Android OS is free, while Windows is not. It will be interesting to see how well the device does, many tablets are used while watching television and this might make a perfect second screen for sports fans.